Pattern Description: Panels with an apple hanging from 3 leaves, separated by a vertical bar surround the piece. 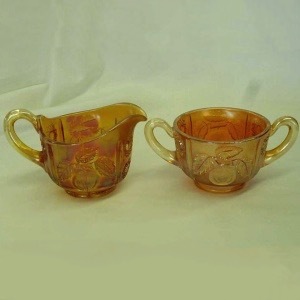 This breakfast set (creamer and open sugar) have apple panels around the shapes. 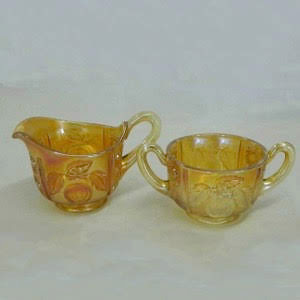 The creamer is single-handled, the open sugar is double handled. Both are on a collar base and have a plain interior.